Make your own wedding rings. Imagine looking down at your wedding ring and knowing that the person you love the most made it for you. 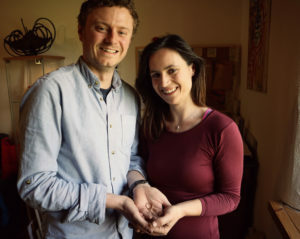 Whether you are getting married, planning a hand-fasting or renewing your vowels, wedding rings are a simple and beautiful way to represent the union and love of two people. I recently had the pleasure of meeting two fantastic people who were on the way to celebrating their union together. 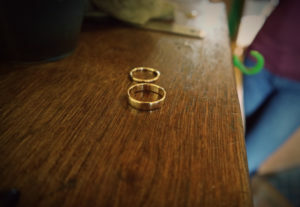 Deirdre and Brian wanted to make their own wedding rings. Both living and working in Dublin, they are regular visitors to Sligo. 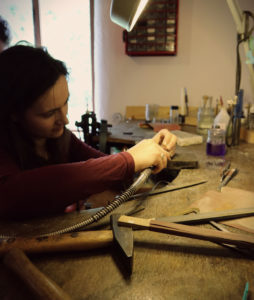 When they heard about my jewellery making courses, they agreed that the beautiful county of Sligo was where they wanted to come to create their own designs. The day started off with a cup of tea and a chat before we got to work. 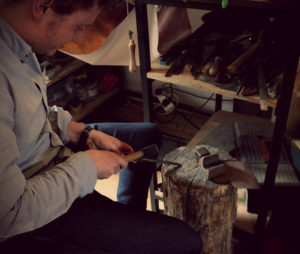 Both had decided to make each other’s rings, so we started off with Deirdre making Brian’s. Neither had any experience in jewellery-making, but they learnt quickly. After checking the ring size once or twice, we set to work. By lunch time we had the first ring almost complete. After a well-earned break for brain fuel and more chat, it was back to the bench where Brian now started to work. Both Deirdre and Brian did fantastically well. 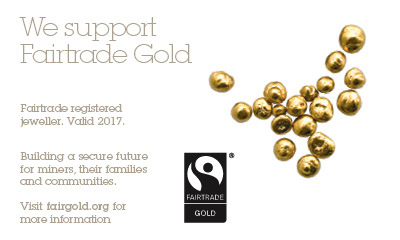 Each ring presented its own challenge; a thicker band of gold is harder to move and shape, while a more delicate design makes filing and polishing a little trickier. With a final polish and clean, both were very happy to see how well their wedding bands had turned out. Finally, their hand-crafted designs were tucked away into a box ready for their big day later this summer. We wish Brian and Deirdre a fantastic wedding day and a very happy ever after. If you would like to make your own wedding rings and have an enjoyable and memorable time at it, feel free to contact me.